Student Pictures will be up soon! 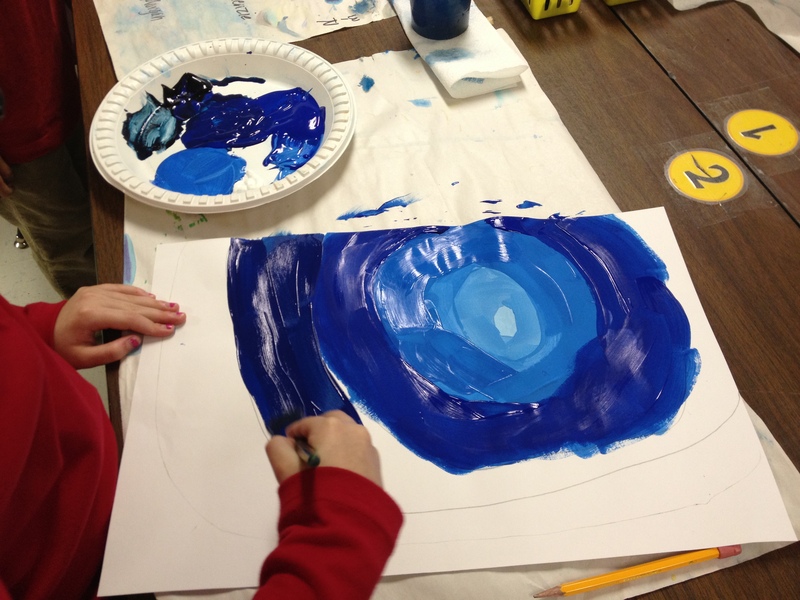 Second grade students learned about the element of art called VALUE. Value is the lightness or darkness of a color. TINT=Lighter -To make the color lighter (tint), you usually will add white. The more white you add, the lighter the color. SHADE=Darker – To make the color darker (shade), you usually will add black. The more black you add, the darker the color. Value JellyFish Painting- students drawing jelly fish in dry pastel, then smudging it into the center to give a transparent look.